Brendan Désir Dingle was so much more than just his beautiful smile. Brendan Désir Dingle was a son, a brother, a best friend, a student, an artist, a lover of music, a kid at heart, and much more. 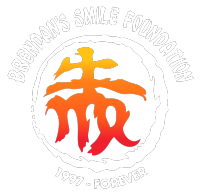 Born in September of 1997, Brendan was raised by his loving parents, supported by a beautiful family and made friends everywhere he went. Despite Brendan just starting to discover himself and grow into a young man with the World’s opportunity at his feet, Brendan took his own life in February of 2017. Although Brendan is no longer with us in person, his soul is all around us in almost everything we see and do. His Family has come together in an extraordinary way with a new mission and purpose to their lives. Their goal is to educate parents and young adults to recognize and immediately act upon mental health issues of their loved ones.